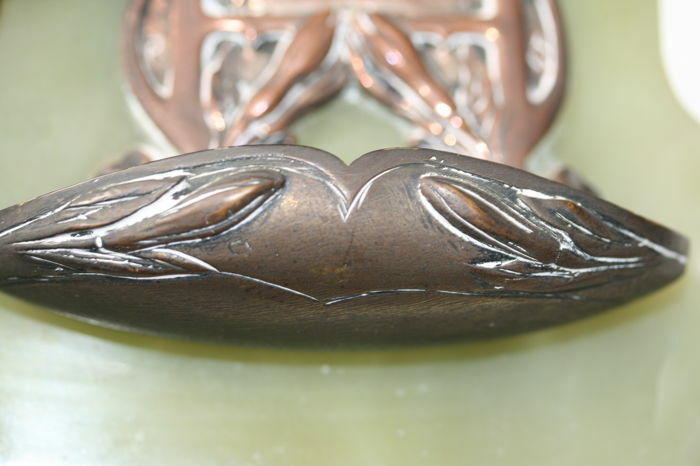 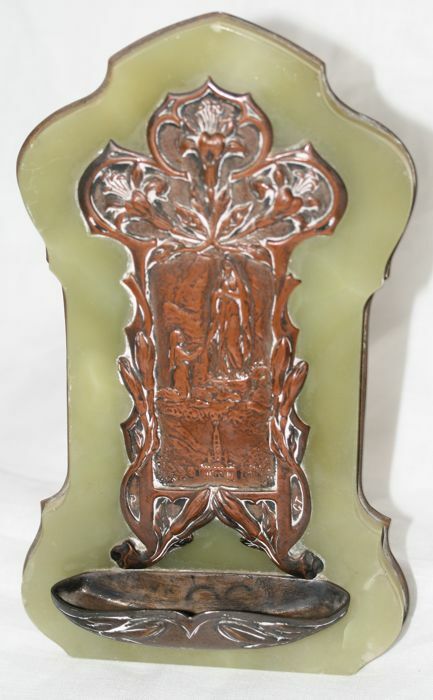 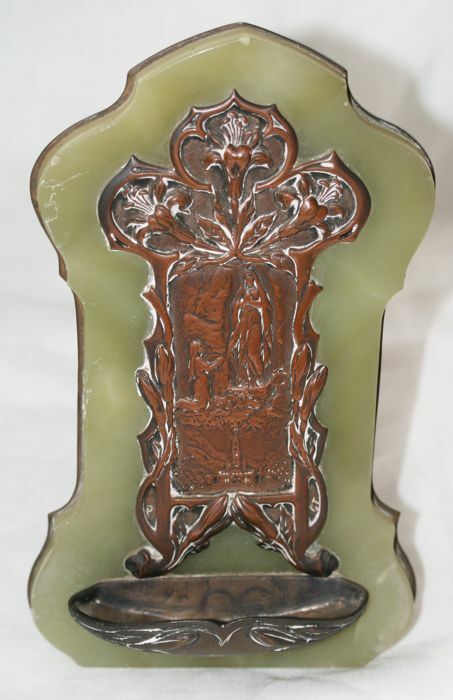 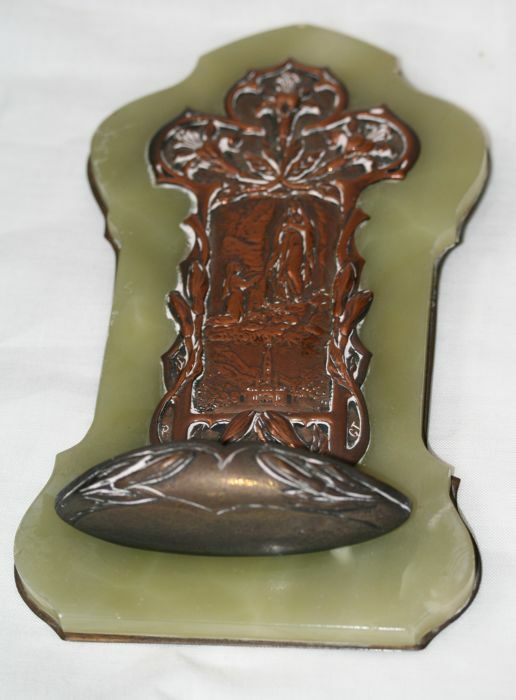 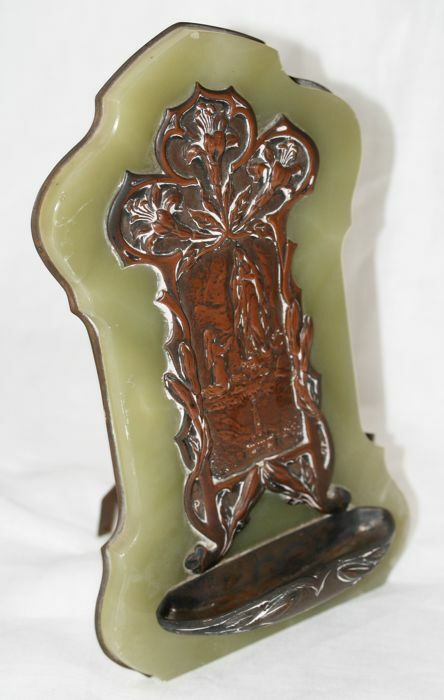 Art Nouveau copper holy water font on green stone plaque. 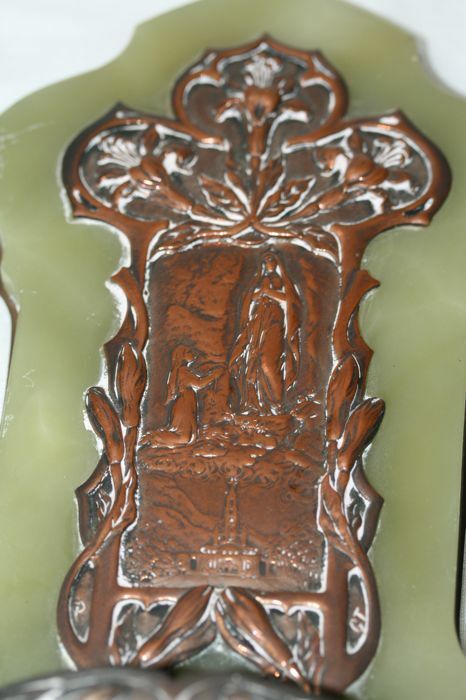 Beautiful copper piece of craftsmanship mounted to a stone plate. 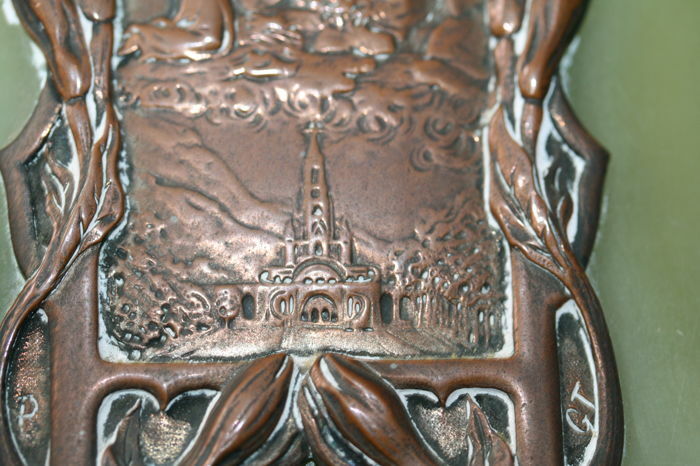 Beautifully designed. 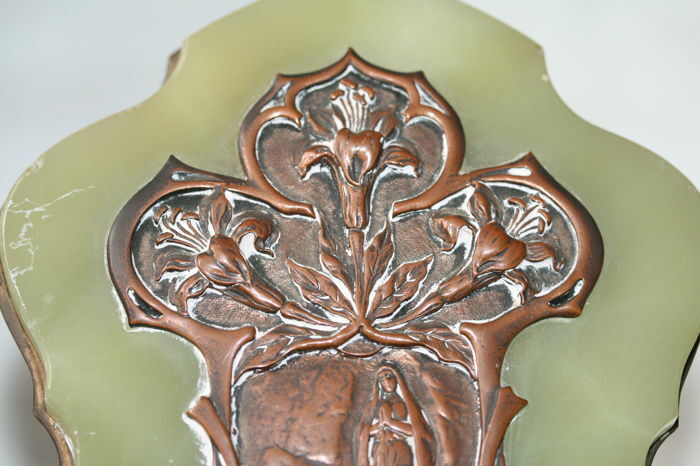 A holy water font or aspersorium is a font containing holy water which is usually placed near the doors in catholic churches, so people could sprinkle themselves when entering the church, while one would make a cross sign, as a symbol for external and internal cleansing. 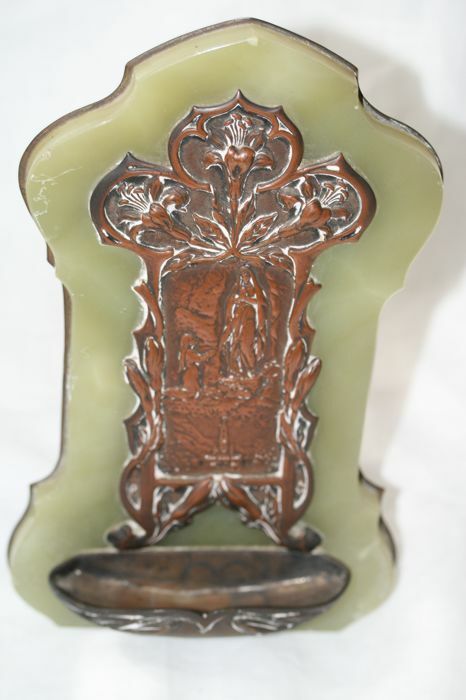 This one is meant to be used at home. 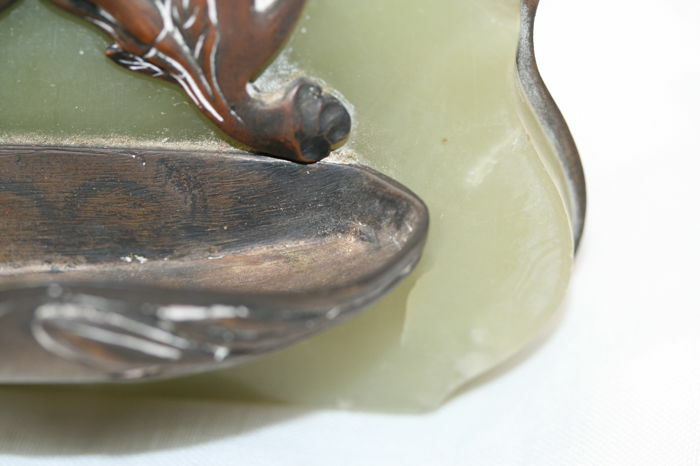 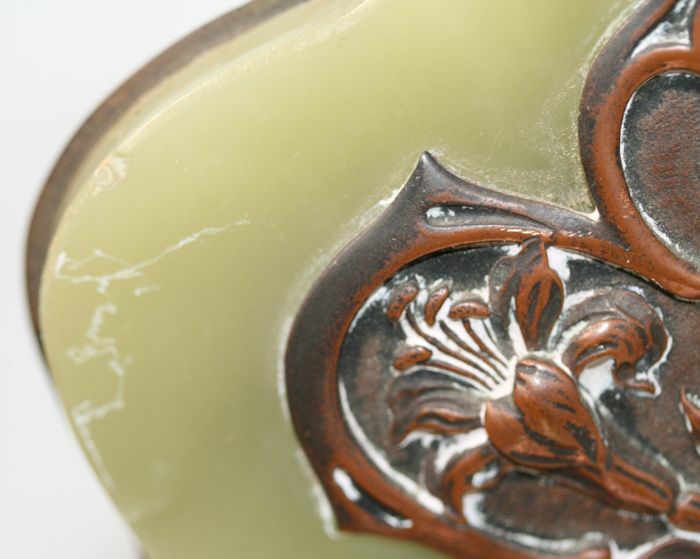 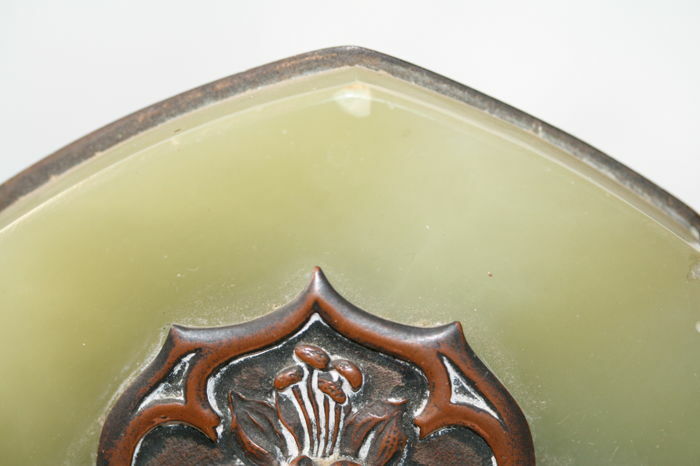 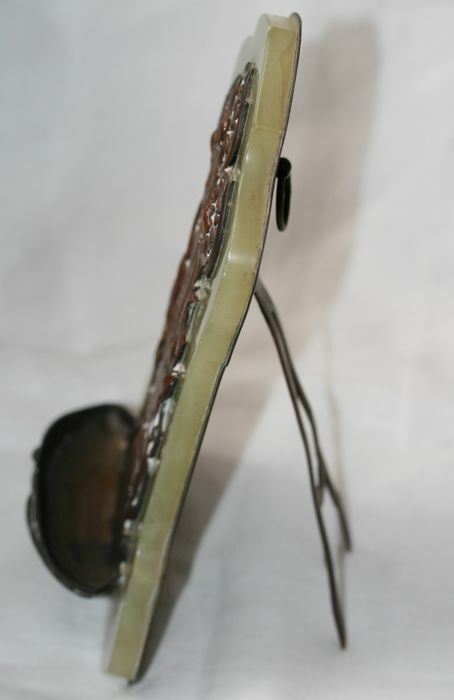 In good condition, the stone plate has small chips - see photos. 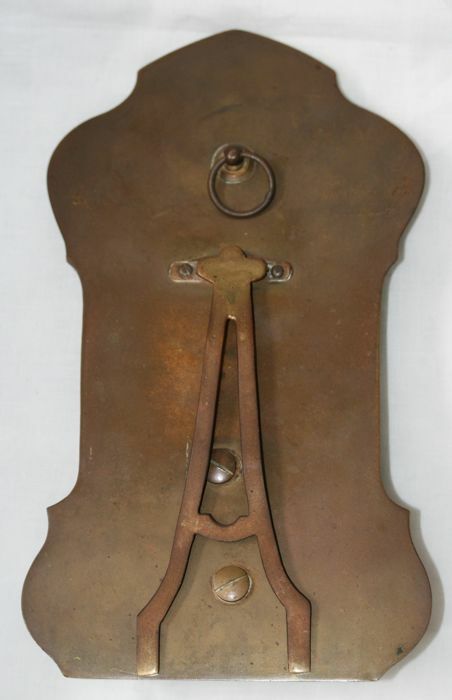 Możesz odebrać ten towar u sprzedawcy: Borsbeek (antwerpen), Belgia.